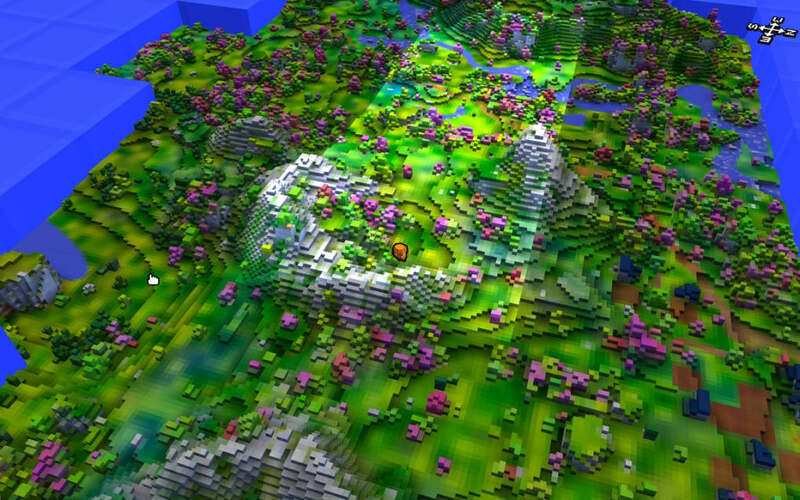 Cube World is a huge, open-world RPG that'll immediately remind you of a certain famous block-building game, but appearances can be deceiving. 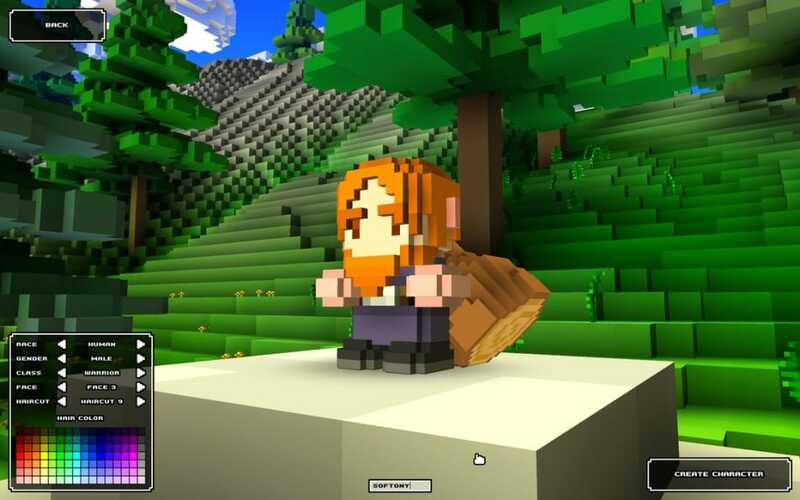 Leave the building to Minecraft- in Cube World, the aim is to fight and explore! At first glance, Cube World looks like a decked-out Minecraft. But behind Cube World's pixelated graphics is a roleplaying game with an objective all its own. 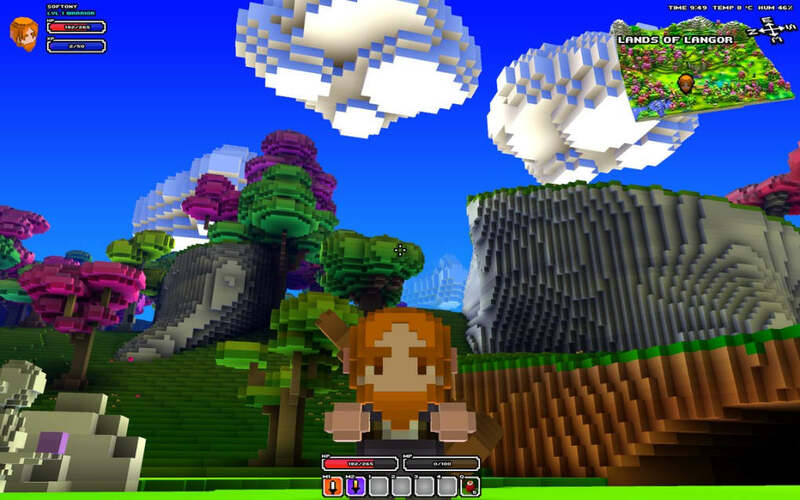 Like many other RPGs, Cube World begins with character creation. 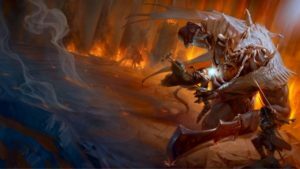 Use templates to determine appearance, gender, race, and battle preference. 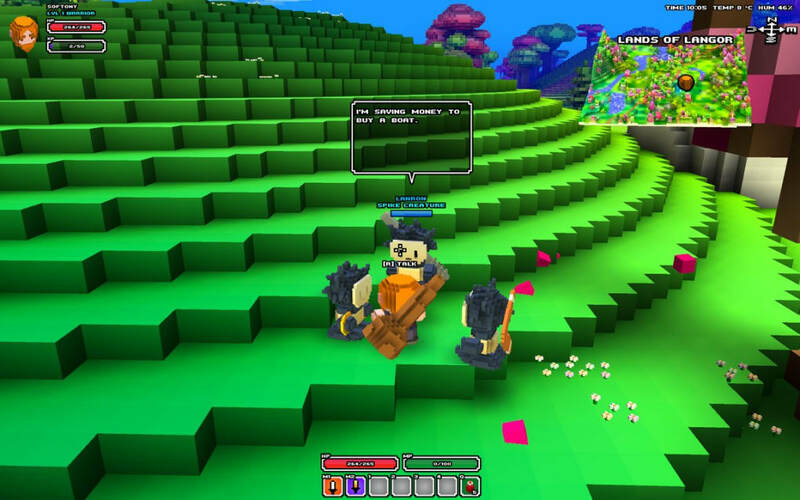 Then, you can create other players in your own multiplayer or single player worlds. As in Minecraft, the worlds in Cube World are never the same. The task in Cube World isn't easy to describe. The first step is to find your way through this world of blocks. You can collect flowers and cut wood, as well as other objects. All these objects can be made into valuable tools, weapons, armor, or potions. The higher you rise in a level, the better the objects the player can create. This may sound similar to Minecraft crafting, but it's not possible to eliminate blocks or build with them. Death occurs when you run out of health. When you are dead, you can still move the camera around your resting place, and even pick up items within reach. 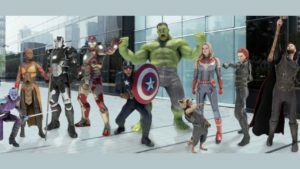 If you gain a level while dead (for example, in multiplayer, an ally may finish off an enemy you were fighting and the XP is enough for a new level), you come back to life at full health. If you die, you can choose to re-spawn at the second-nearest Respawn Point and you won't lose any of your items. 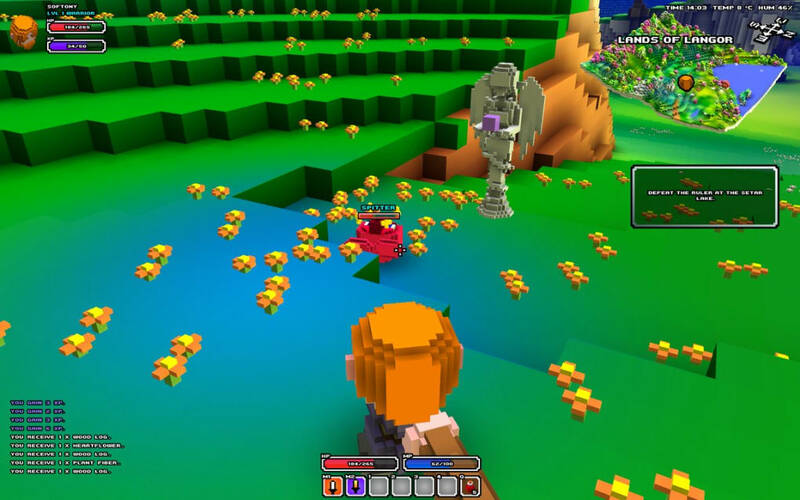 The Cube World combat system is tricky: with the left mouse button, you can perform violent attacks or low blows, at the right speed. 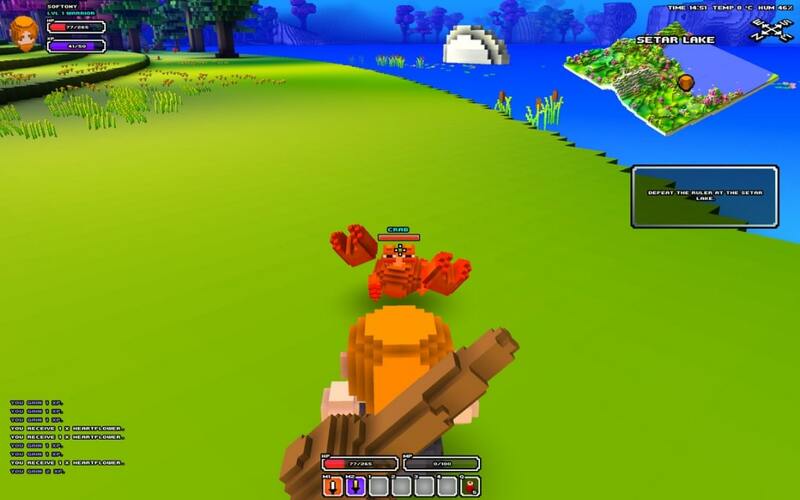 Some monsters have bows and various other weapons, so it's best to dodge the projectiles and avoid involving a monster in combat. Powerful Boss opponents are randomly distributed across the map. 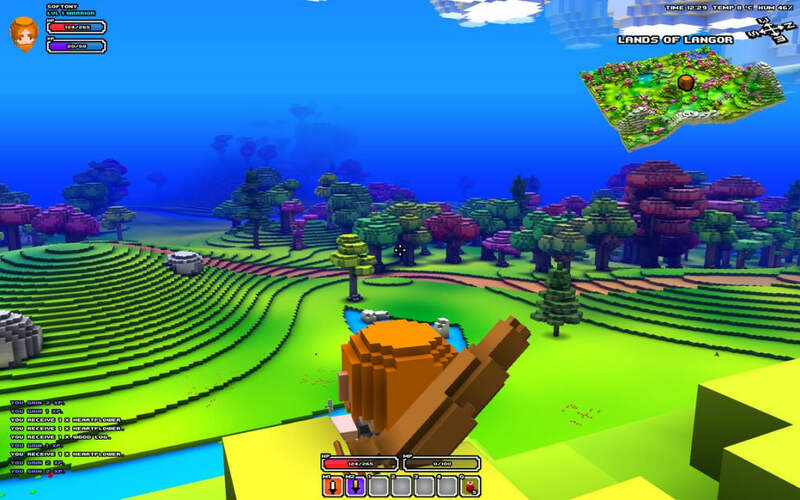 Cube World includes brightly colored blocks, and the environment is pleasant despite the unmistakable Lego look. Varied colored trees and landscapes provide enough variety to make the environment attractive. The lighting effects are beautiful and the shadows have a flowing look that's a little like Minecraft. 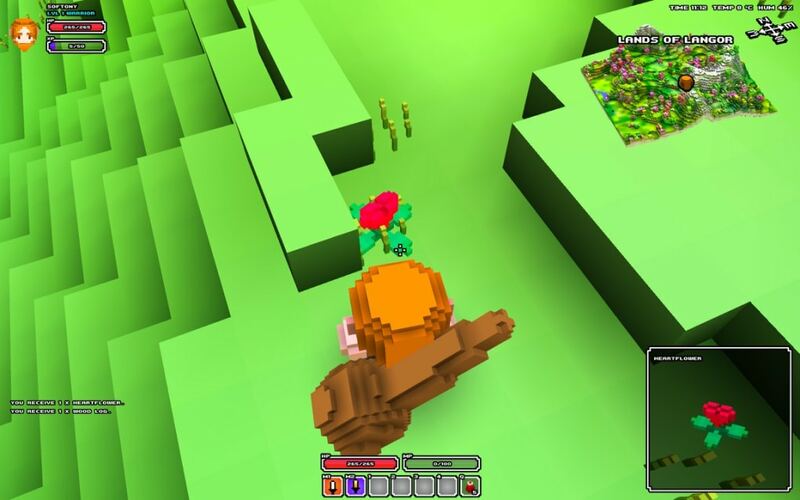 Cube World has somewhat monotone sound effects, and the wild pitter-patter of feet can quickly get on your nerves. 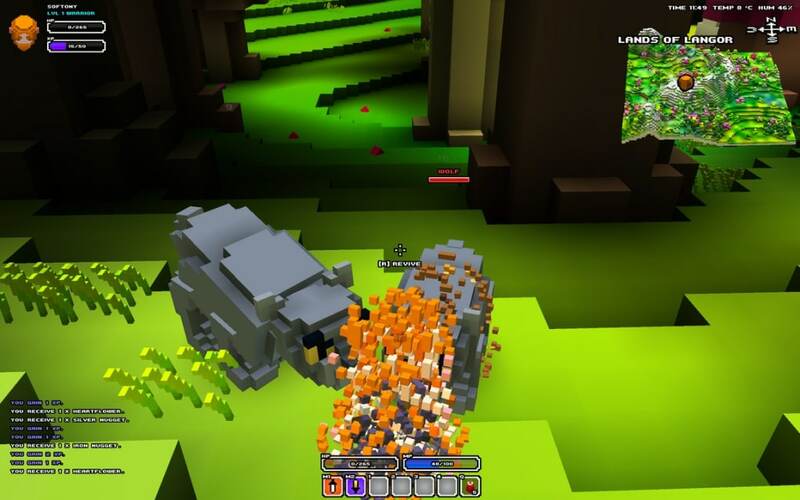 Cube World already leaves a good impression in the early alpha version we tested. The block graphics are more aesthetically sophisticated than in Minecraft and its roleplay game concept is similar. 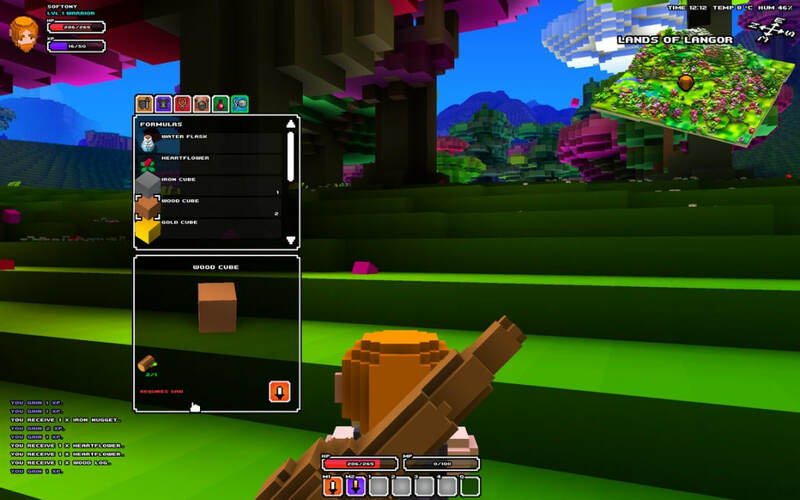 Cube World will attract players who have been missing the Minecraft action and would rather go hunting instead of stacking blocks. 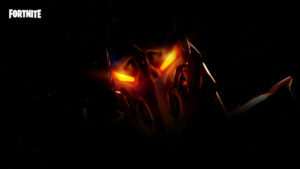 Roleplay, however is limited. While players can actively engage in Minecraft, World Cube depends on provided content. At the moment, it's limited and requires regular updates. If that doesn't change, Cube World will only provide temporary entertainment. What do you think about Cube World? Do you recommend it? Why?